Credits: " Matt Briney at Unsplash.com"
Naturopathic doctors (NDs) are often thought of as the same as Homeopaths, and although they are both in the realm of alternative medicine, there are some major differences between disciplines. Naturopathic doctors are licensed medical professionals who are trained in primary care. Deep-rooted knowledge and understanding of biological pathophysiology and pharmaceutical intervention are needed for the diagnosing and treatment of disease, but NDs are not solely limited to pharmaceutical drugs as treatment. Their treatment modalities range from botanical medicine to hydrotherapy, nutritional interventions, and counseling. Naturopathic doctors can work in different settings that include, but are not limited to, hospitals, research laboratories, and private practice clinics. What Are Homeopaths and Homeopathic Remedies? Homeopaths are alternative medical professionals who take patient cases and treat disease using homeopathy as their only treatment modality. Classical homeopathy is the practice of the use of a single remedy. The homeopathic remedies, which can be made from plant, animal, or mineral materials, are then diluted in water and succussed. The term success in homeopathy means to shake the homeopathic dilutions vigorously between each dilution. The process of dilution and succussion continues until different potencies are created, and depending on the severity of the case, an appropriate potency will be given to the patient as a homeopathic remedy. Classical homeopathy specifically uses only one remedy for the patient, and the remedies can be taken as liquid drops, in pellet form, and topically on the skin. There are other forms of homeopathy that combine remedies or include undiluted botanical material with the remedy, but they are not considered to be Classical Homeopathy. The Healing Power of Nature (Vis Medicatrix Natururae): Much like homeostatic mechanisms in the body, the body has an inherent tendency toward health. NDs strive to remove certain obstacles the body may face in its trajectory toward a healthy state. Identify and Treat the Cause (Tolle Causam): Instead of treating only outward manifestations of disease, NDs are driven to actively seek out and remove the root cause of disease. First Do No Harm (Primum Non Nocere): Not doing harm to patients, means to minimize the risk of side effects with any treatment, using as little force as necessary, and to work with the patient and where they’re at in their healing process. Doctor as Teacher (Docere): NDs take the time with their patients to teach them about their bodies as well as factors for optimizing health such as diet and lifestyle. A typical initial visit with a Naturopathic doctor may take around 1-2 hours, with typical follow-up visits around 0.25-1 hour. Treat the Whole Person: The whole person, mind, body, and spirit is addressed as well as environmental, social, genetic, and other factors that relate to the patient’s well-being. Prevention: NDs whole-heartedly believe that prevention is the most important form of medicine, and assess risk factors as well as genetic components of disease, and work with patients to make appropriate interventions to prevent disease. The Law of Similars: Homeopathy uses the concept that like cures like. A homeopathic remedy is given to a sick patient whose chief complaint is the same as the side effects a healthy person gets when given the same remedy. The Single Remedy: One homeopathic remedy is very specific for all of the various conditions a patient is feeling, and that one correct remedy, often referred to as the similimum, is the ultimate cure for all of the patient’s ailments which incorporates the physical symptom picture, personality of the patient, their emotional state, and overall constitution. Finding the similimum is the most difficult part of the case, and often, several 2-hour appointments with the patient are needed to identify every little detail about the case and to find the correct remedy. The Minimum Dose: Similar to Naturopathic Medicine, homeopaths believe the best medicine is the least invasive. Homeopaths believe the minimum dose is required for the maximal effect. Provings: Provings are healthy patients taking homeopathic medicines, and writing extremely detailed notes on how they feel physically, mentally, and spiritually. These provings are then what are used as indications, or keynotes as they are called for the treatment of a case. Naturopathic doctors must graduate from a four-year undergraduate program at a university before attending Naturopathic Medical School. While there are requirements for a specific number of science courses that need to be taken, applicant’s majors vary widely, from medical biology to history. Applicants must apply to the schools, have references, and write supplemental papers. After a first cut is made, those still in the process receive a phone as well as an on-site interview with the admissions team. Naturopathic Medical School, which is a four-year graduate-level curriculum, is extremely similar to that of medical doctors. Throughout the years, pathophysiology, structure and function, biochemistry, and pharmacology are heavily discussed as well as other natural modalities such as hydrotherapy and nutrition. Naturopathic medical students take board exams that are similar to that of medical doctors. 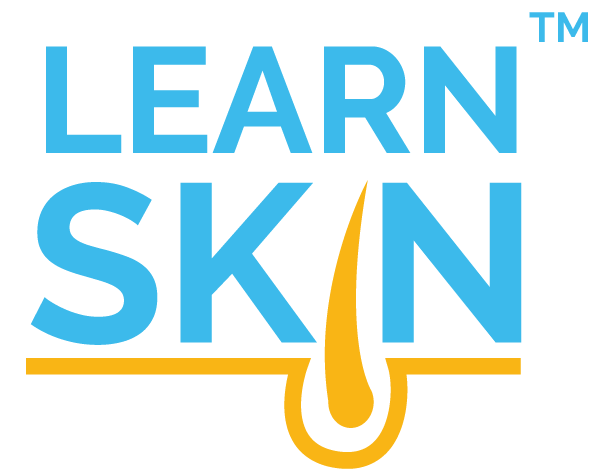 The naturopathic basic science boards or NPLEX 1 (Naturopathic Physician Licensing Examinations) and NPLEX 2 exam are similar to the USMLE step exams, and commonly, ND students use USMLE step books in preparation for the exam. The first NPLEX exam is taken in the summer between the second and third year of schooling, and the second is taken after the fourth year. The passing of the second NPLEX exams allows licensure for the new doctor. Along with written exams, three clinical exams are also given to ND students, called the Objective Structured Clinical Exam (OSCE) exams. The first OSCE exam is given after the second year of schooling, the second is given after the third year of schooling, and the third is given after the fourth year of schooling. Each passing of the OSCE exam allows for further responsibilities and access to the clinics. State board exams are also given to ensure that the doctor is licensed in that specific state to practice medicine. Currently, one year of residency is only required in the state of Utah, but most ND students plan to complete a residency program lasting from 1 to 3 years after their four years of schooling. Some insurance companies are starting to require Naturopathic doctors to have completed a residency program in order to cover their care for patients. At this time, naturopathic medical residencies are not federally funded, which consequently leaves about 70 residency programs in the nation. Acquiring a residency spot is currently extremely competitive, and not everyone who applies is offered a residency. Homeopathic medicine education is a three-year post-graduate program that focuses on the pathophysiology of disease, case taking, learning about all the different homeopathic remedies from the repertory, and finding the remedy of choice, which in homeopathy is referred to as the similimum. The repertory is an online resource that describes all the remedies, as well as different aspects of the case that correlates to different remedies. There is no current certification or licensing standard for homeopathic medicine, and the only homeopathically focused residencies are through other residencies such as through a naturopathic medicine residency. Homeopathy: Although Naturopathic doctors are not considered homeopaths, they can, however, use homeopathy as a possible treatment modality. Homeopaths only use homeopathy as a treatment modality. Although a Naturopath’s list of treatment options varies widely, each ND uses the therapeutic order to guide his or her treatment plan. 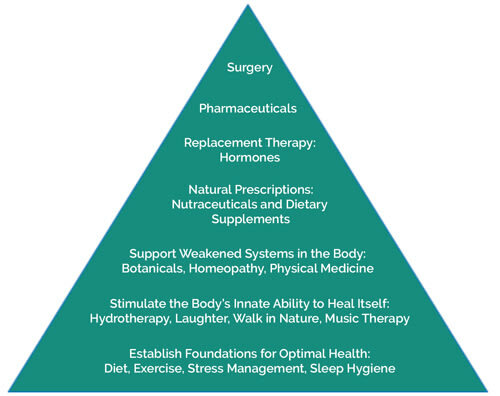 The Therapeutic is shaped like a pyramid, with the least invasive, foundational treatments at the bottom, and most invasive, less-used treatments at the top. The foundations of health are always considered with every patient, and NDs should not move up the order until each step below has been addressed. In severe pathology, such as in melanoma, more invasive treatments will be utilized to appropriately address the pathology. Homeopathic modalities include homeopathy, unless the practitioner has another licensure in another field in medicine as a Naturopathic Doctor or Medical Doctor, and then can use those particular treatment modalities as well. Individual states regulate the scope of practice for Naturopathic Doctors, meaning that in some states such as Texas, NDs are not allowed to perform minor surgery, whereas, in other states like Oregon and Washington they are. Currently, there are twenty-three states, including US territories such as Puerto Rico and the U.S. Virgin Islands, where NDs have licensure. In these states that allow Naturopathic Doctors to be licensed, they are also able to call themselves Naturopathic Doctors or Naturopathic Physicians. In states like Washington and Oregon, NDs can do anything from prescribing opioids to delivering babies and providing minor skin surgical procedures. In states that are not licensed, such as Texas, NDs are required to have MDs or DOs oversee their cases, and are very limited in their scope of practice. In states that currently do not offer licensing to NDs, they are only able to call themselves Naturopaths, and cannot bill insurance companies. The controversy then becomes the dysregulation of Naturopaths in unlicensed states. There are online programs that allow people to become practicing “Naturopaths” with having no clinical or real education at all. In states where Naturopaths are not licensed, these online Naturopaths are able to practice. This may account for the bad reputation some NDs get from other medical professionals. In states that do offer to license for Naturopathic Doctors, they do not allow online Naturopaths to take the licensing exam, and thus not allowing them to practice medicine. There is a push from those who have attended a rigorous four-year Doctor of Naturopathic Medicine Program for states to offer licensure. Since homeopaths do not have a specific licensing exam, they cannot be licensed. Their scope of practice may also depend on what other medical licenses they currently hold. Although Naturopathy and Homeopathy are both considered alternative medicine modalities, Naturopathy has a larger toolbox of possible treatments to pick from, which includes homeopathy. Homeopaths seem to strictly use homeopathic remedies as their sole treatment modality. 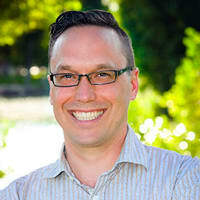 More research on the use of Naturopathic modalities, as well as combined modalities typically seen in a clinical setting, needs to be done to further support the use of Naturopathic medicine. Clinical research on homeopathy is very difficult to do in the modern biomedical model because every remedy is given in an individualized way, and thus cannot comply with the randomized and blinded research models. 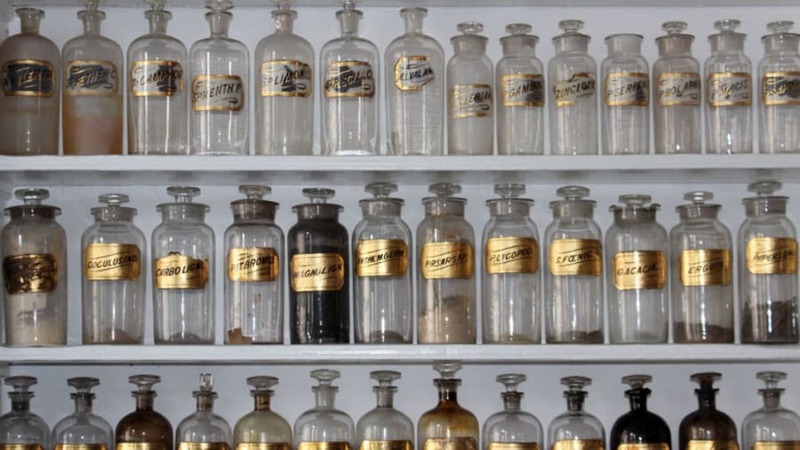 The lack of clinical research has caused homeopathy to fall out of favor in the conventional medical community, and hopefully, more studies on the use of homeopathy can further elucidate its efficacy and safety as a viable treatment option.